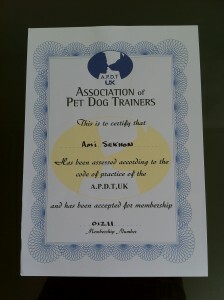 On Sunday 13th October I had my practical assessment with the Association of Pet Dog Trainers (UK) (APDT UK). The APDT UK is the largest dog training organisation in the UK, and the closest the UK has to a regulatory body for dog training. 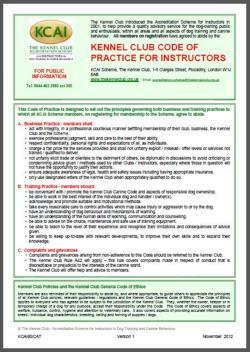 The membership process is very thorough and members must keep their education up to date and must adhere to a strict Code of Practice. APDT members must only train using methods which are kind, fair and effective and do not cause harm or suffering to the dog. The process for membership starts with a written essay covering everything from the science behind how dogs learn, stress in handlers and dogs and equipment. My essay was over 30 pages long! I also had to submit lesson plans from current classes, a list of seminars and workshops I have attended, and a CV of my dog training experience. The second part of the membership process involved teaching a one hour class of six dogs and their handlers (none of whom I had met before). The youngest dog in my class was four months old and the oldest was thirteen years old! I had to demonstrate that I could teach a ‘down’, ‘leave’, and loose-lead walking, progressing each exercise to suit each dog’s capabilities. After the practical assessment I had a 45 minute oral assessment where two assessors quizzed me on various aspects of teaching both handlers and dogs. Although it was an intense day I really enjoyed teaching my class and my initial nerves quickly disappeared. I had some good feedback from class members as I left the venue and I felt my assessment went well, but I had up to a two week wait before I would receive my results. For the next few days every time the email notification on my phone went ‘ping’ I felt nervous, wondering whether it was my results coming through! My results eventually came through six days after my assessment…I passed! 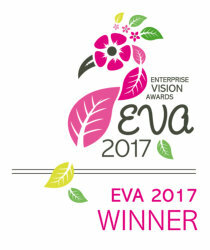 This achievement means such a lot to me, the assessment process is extremely thorough and members must demonstrate that they have excellent training and teaching skills. 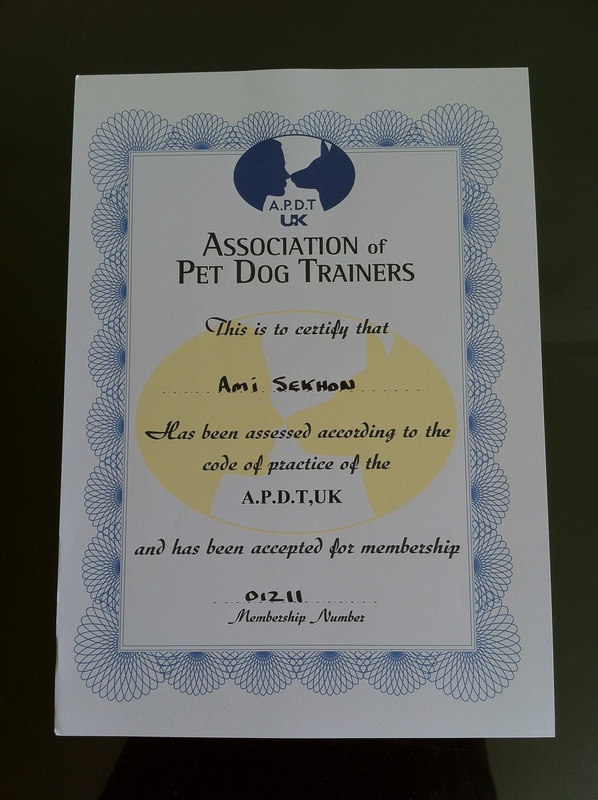 I am really proud to be able to say that I am a member of the APDT UK!